Yes, 2017 was a rough one. But it was also a year of black women fully stepping into their power. 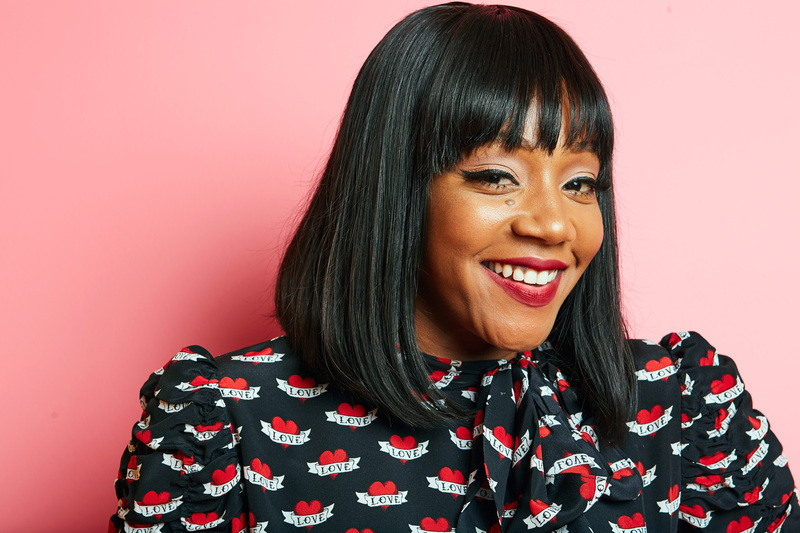 From athletes to activists to writers to filmmakers to curators, these black women are truly Undefeated. Serena Williams waves to the crowd as she leaves the court with the Daphne Akhurst Trophy on Jan. 28 after winning the women’s singles final of the 2017 Australian Open against her sister Venus Williams at Melbourne Park in Australia. 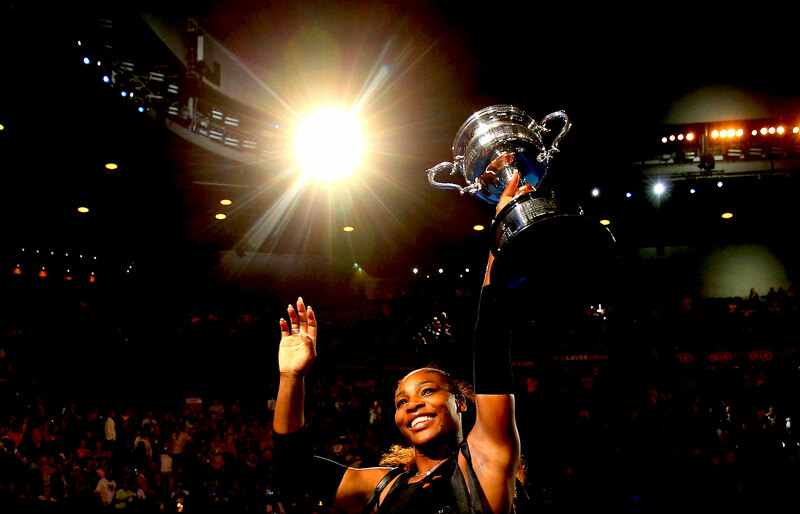 What a year it was for Serena Williams, arguably the greatest athlete ever. She won the Australian Open, her 23rd Grand Slam singles title, while eight weeks pregnant. She gave birth to her daughter, Alexis Olympia Ohanian Jr., in September and married longtime beau and Reddit founder Alexis Ohanian in a dream wedding in November — and Nike just named a building after her. She’s already making plans to defend her Australian Open title in 2018. 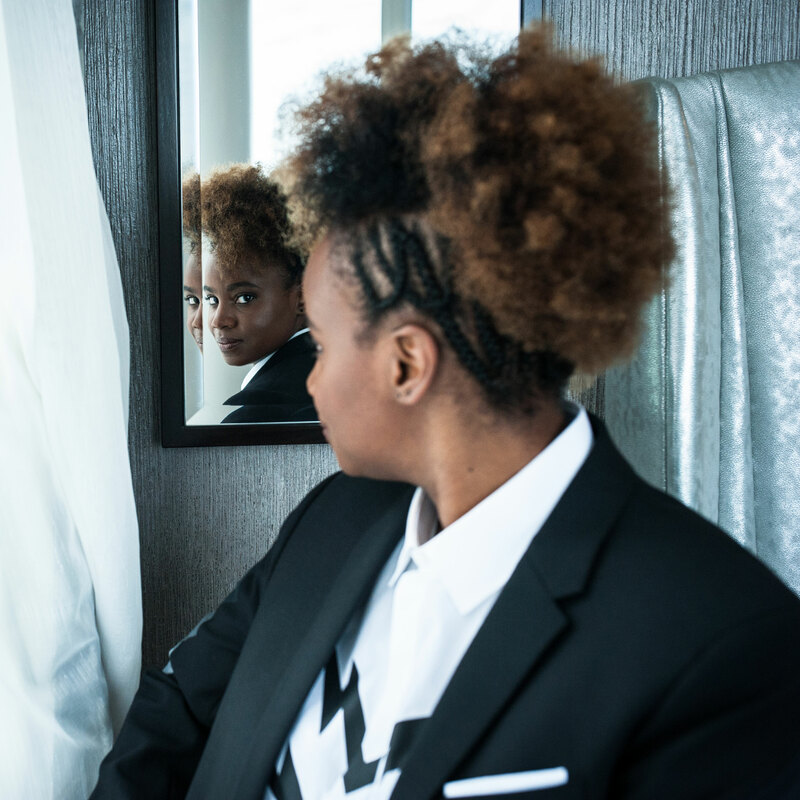 Dee Rees poses for a portrait in New York City on Oct. 11. Dee Rees, who made the critically acclaimed Pariah and the Emmy Award-winning Bessie, has directed a new American classic with Mudbound, a sprawling post-World War II epic that follows the lives of a sharecropping family and the family that owns the land. Although the Academy of Motion Picture Arts and Sciences has been resistant to movies distributed by Netflix, if there’s any kind of justice in the world, Rees, a product of historically black Florida A&M university, will be nominated for an Academy Award for best director. From left: Brakewoman Akuoma Omeoga, driver Seun Adigun and brakewoman Ngozi Onwumere. 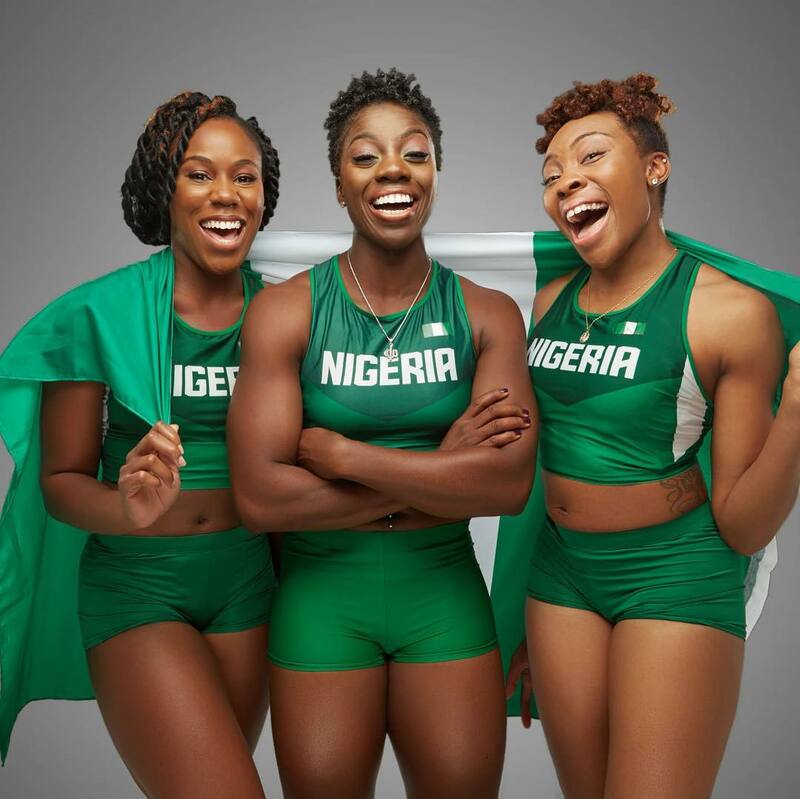 You’ll do well to remember the names: Akuoma Omeoga, Seun Adigun and Ngozi Onwumere. They have made history as the first African team to qualify for the Winter Olympics in the bobsled category. And this will be the first time Nigeria has been represented in the Winter Olympics. All three women are sprinters, and Adigun, who founded the bobsled team in 2016, competed in the 2012 Summer Olympics. The team will head to Pyeongchang, South Korea, in February to compete for a medal. 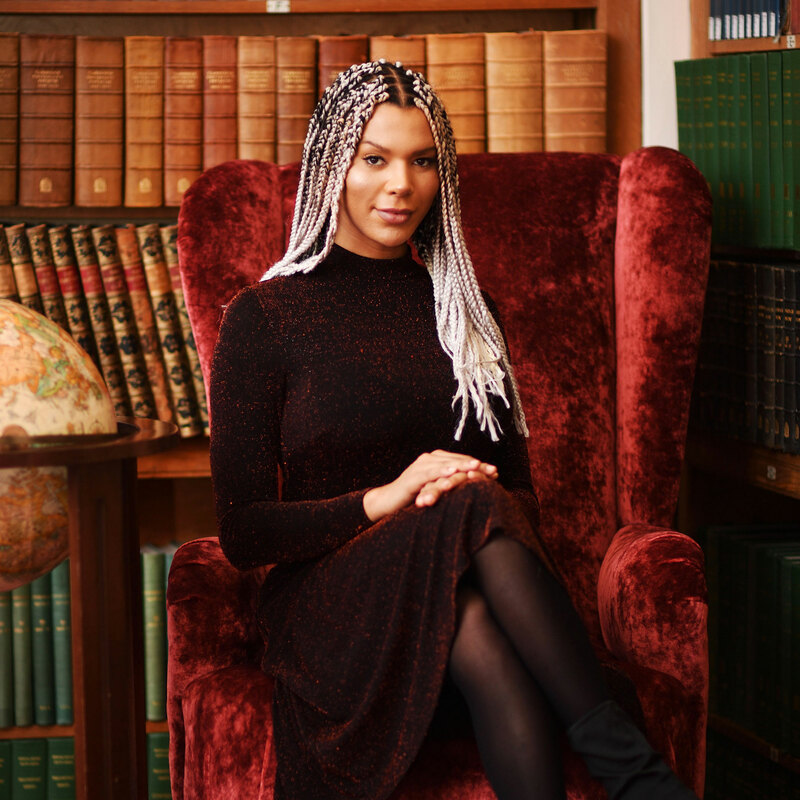 Munroe Bergdorf is a British social activist, DJ and model who in August 2017 became the first transgender model to appear in a L’Oréal campaign. She was fired after the Daily Mail surfaced Facebook posts where she spoke out against racism and white supremacy and called for better understanding of systemic injustice. The 30-year-old hasn’t let any of that stop her, though. She signed a new contract with the U.K. beauty brand Illamasqua, is working with The Huffington Post on a new docuseries and continues to speak out against racial and social injustice. Sloane Stephens of the United States reacts after receiving her check for her victory against compatriot Madison Keys in the women’s singles final at the US Open tennis tournament on Sept. 9 in Flushing, Queens, New York City. 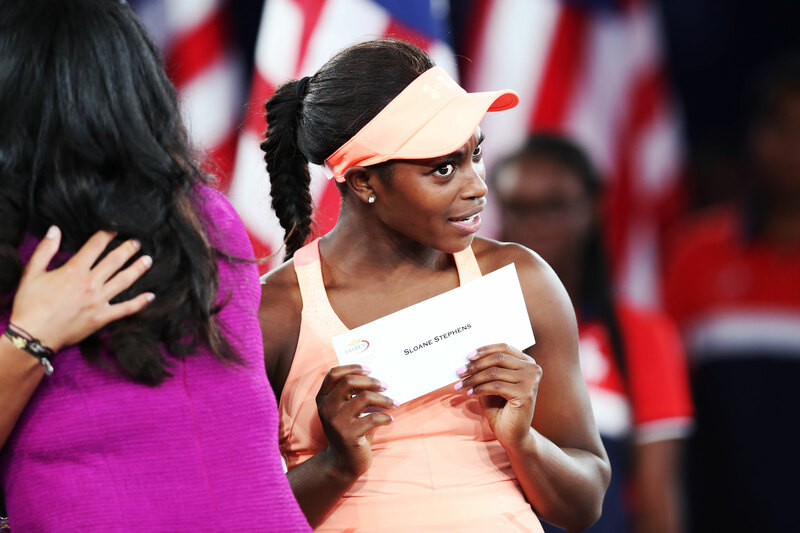 Sloane Stephens made history in September when she won the US Open vs. Madison Keys. She also became only the fourth black woman to win a Grand Slam singles title, after Althea Gibson, Venus Williams and Serena Williams. What makes Stephens’ success all the more remarkable is the foot injury and subsequent low ranking she overcame to get back to the top. Another victory Stephens completed this year? Graduating from Indiana University East with a degree in communication studies. 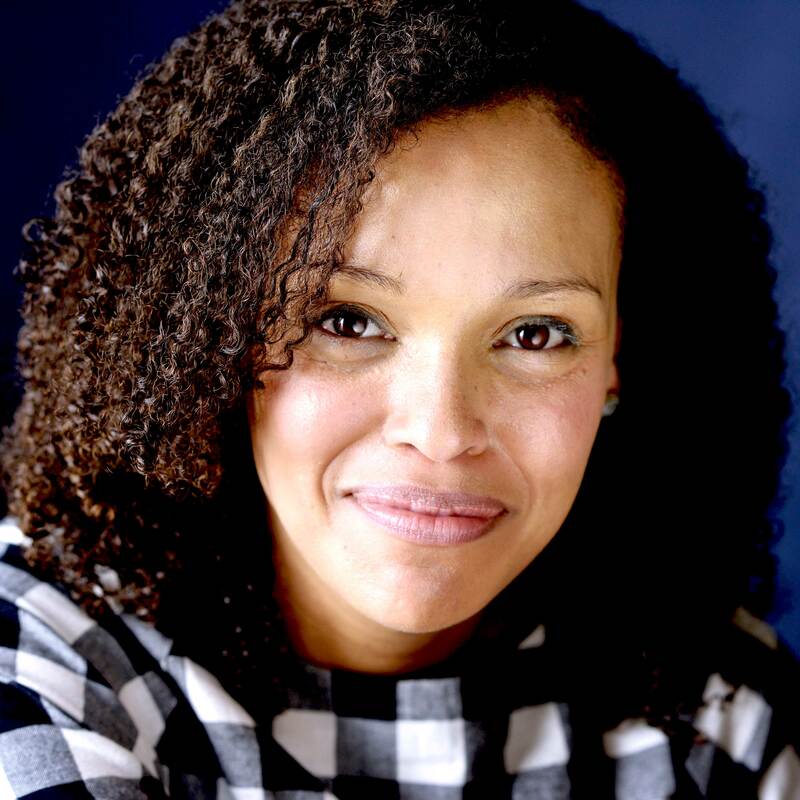 Author Jesmyn Ward hit the “nerd lottery” this year when she was awarded a MacArthur “genius” grant. She was one of 24 people honored by the John D. and Catherine T. MacArthur Foundation with a $625,000 prize. Ward, who wrote the award-winning novels Salvage the Bones and Sing, Unburied, Sing as well as the James Baldwin-inspired essay collection The Fire This Time, teaches at Tulane University in New Orleans and lives in her home state of Mississippi. Curator Rujeko Hockley has been shaking up the art world with her focus on exhibiting works by black women artists. Hockley, who was the assistant curator of contemporary art at the Brooklyn Museum before heading to the Whitney Museum of American Art, organized the traveling exhibit We Wanted a Revolution: Black Radical Women, 1965-85, which is now on display at the California African American Museum. 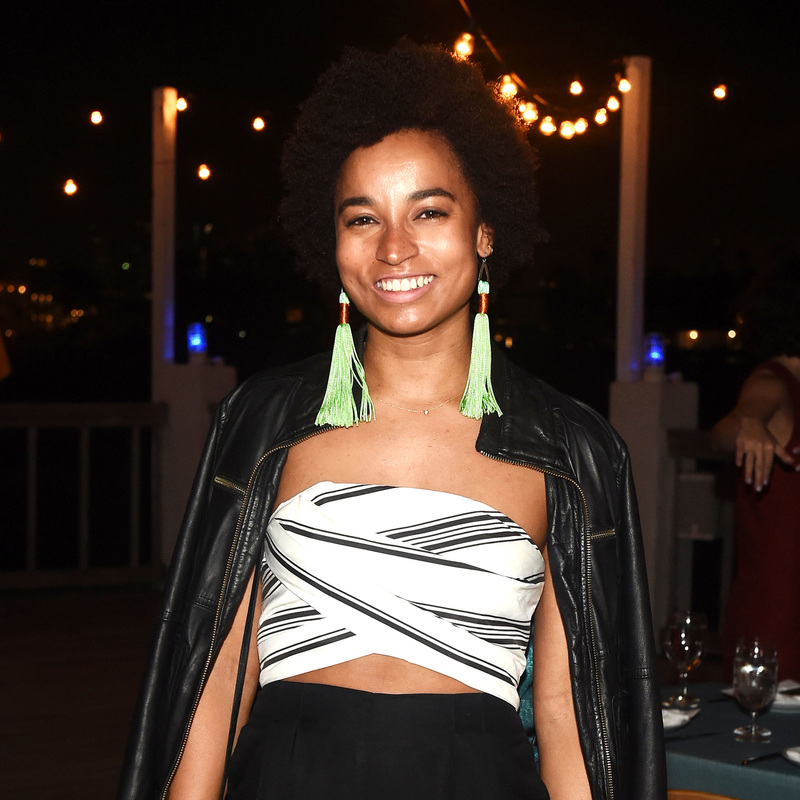 She was also recently tapped to co-curate the 2019 Whitney Biennial, an exhibit of contemporary American art, typically by young and lesser-known artists. Top: The Indiana Fever kneel during the national anthem before the game against the Phoenix Mercury on Sept. 21, 2016, in Indianapolis. 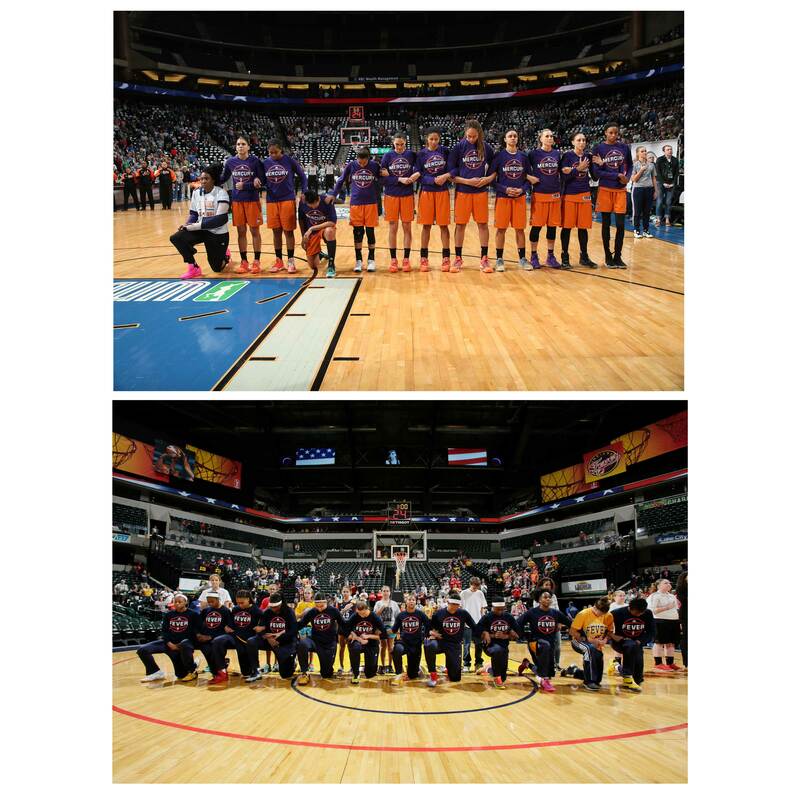 Bottom: The Phoenix Mercury stand and kneel during the national anthem before the game against the Minnesota Lynx on Sept. 30, 2016, in St. Paul, Minnesota. While NFL players have been garnering attention this year for kneeling to protest police brutality, WNBA players have been consistent in their social activism, and it started before 2017. In addition to kneeling, players from multiple teams have been catching fines for wearing T-shirts in support of #BlackLivesMatter and have held news conferences to speak out against police brutality. 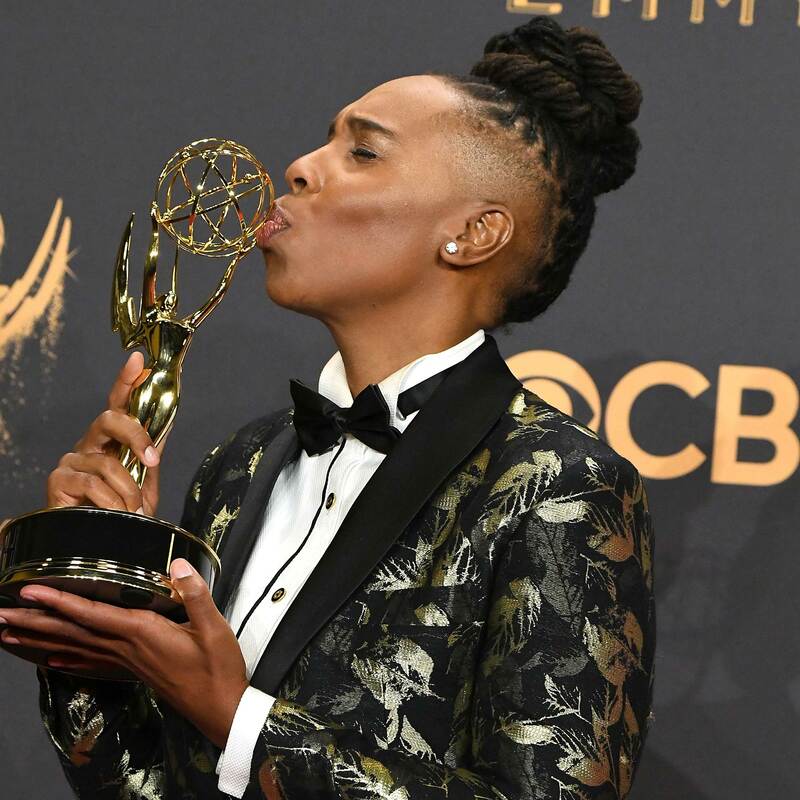 Lena Waithe, who penned the instant classic “Thanksgiving” episode of the second season of Master of None, made history this year as the first black woman to win an Emmy for comedy writing. Waithe also wrote and produced The Chi, a TV series for Showtime based on her experience growing up on Chicago’s South Side. It premieres in January, and if she isn’t nominated for multiple awards, we will eat our hats. It’s Ava DuVernay’s world, and we’re just living in it. 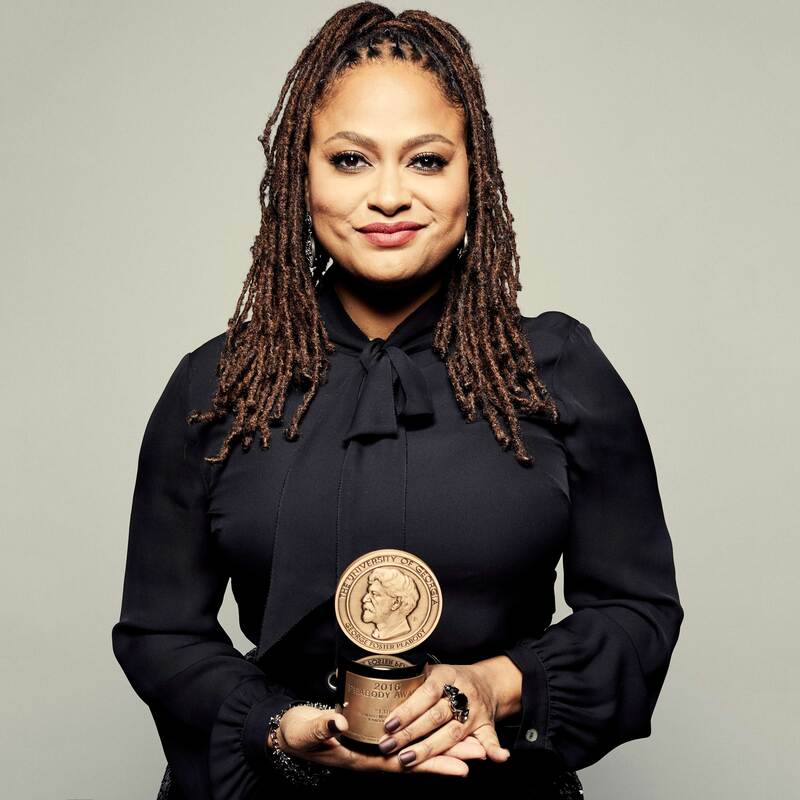 In this year alone, DuVernay earned a Peabody, a BAFTA and four Emmys for 13th, her documentary about mass incarceration in the United States. She also produced season two of the critically acclaimed OWN drama Queen Sugar and hired all-women directing teams for each episode. DuVernay also landed on the cover of Time as part of their “First” series and will be releasing her adaptation of the classic fantasy novel A Wrinkle in Time in March 2018. 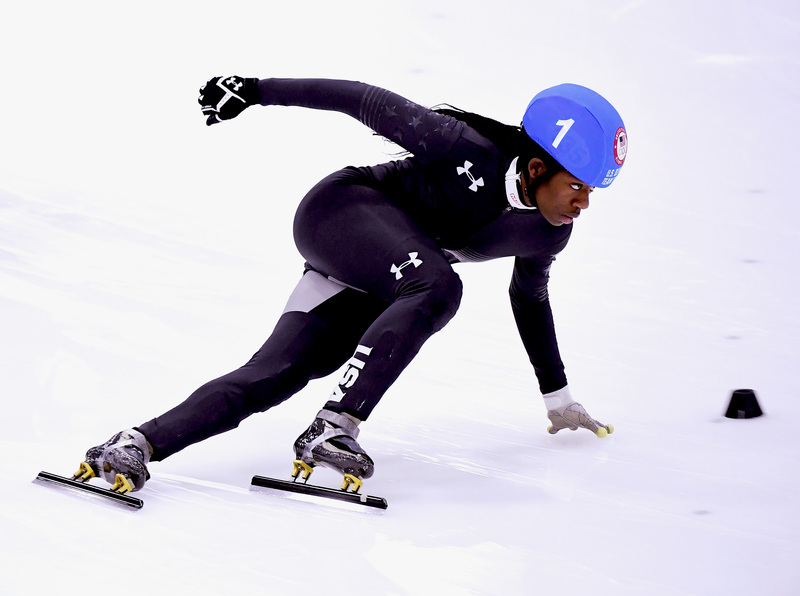 Maame Biney takes the corner on her way to victory in the women’s 500-meter A final for a spot on the Olympic team during the 2018 U.S. Speedskating Short Track Olympic Team Trials at the Utah Olympic Oval on Dec. 16 in Salt Lake City. Maame Biney, a 17-year-old from Washington, D.C., who was born in Ghana, just qualified for the Winter Olympics in speedskating, making her the first black girl to do so.